Samantha is a reporter for WUFT News who can be reached by emailing news@wuft.org or calling 352-392-6397. Representatives of CHW Professional Consultants proposed the area could be used for new businesses and a small park. 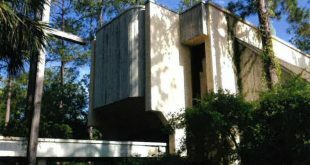 Gainesville residents are challenging the plan to tear down Saint Michael's Episcopal Church and build a shopping center that's been proposed by CHW, an architectural engineering company.